According to the recent industry reports domestic car maker Mahindra & Mahindra will launch its proposed SUV Alturas G4 in the Indian car market on November 24, 2018, and has commenced the bookings of the same at down payment of Rs. 50,000. The delivery of AlturasG4 are reported to commence by the end of this month. The launch of AlturasG4 is believed to break the company’s strategy of launching its products ending with an “O” alphabet. As prior to finalization of its name Alturas G4 was expected to be named as XUV700, which was mainly because of its codename Y400. The Alturas G4 is speculated to be offered with the price tag of Rs. 25 lakh (ex-showroom, price). Under the hood, Mahindra Alturas G4 will be empowered with 2.2 litre turbocharged diesel engine that is reported to deliver the power of 183 bhp, and will be manufactured at company’s production unit located in Chakan, near Pune. As far as the features offered in upcoming Alturas G4 are concerned it will be embellished with LED headlamps with DRLs, larger alloy wheels, electric sunroof and many more on the exterior front. Inside, the cabin it will be equipped with electronic adjustable front seats, multi-zone climate control system, Apple CarPlay, eight-inch touchscreen infotainment system and few more. On the safety front, it will be offered with nine airbags, electronic parking brakes, and ABS+EBD. Talking behind the reason of not launching the new vehicle without “O” alphabet, Mr. Veejay Nakra, Chief of Sales and Marketing, M&M, said, "The word Alturas means 'height' or 'pinnacle'. The Alturas G4 represents a gateway into luxury for those who have reached the pinnacle of success in their lives. Being our most luxurious offering, exquisitely designed and crafted, we believe that the Alturas G4 name perfectly describes this product." After launch, the new Alturas G4 will compete with Skoda Kodiaq, Toyota Fortuner, Volkswagen Tiguan, and Ford Endeavour. 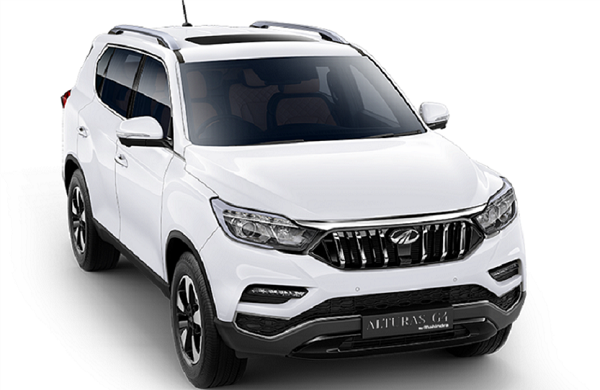 The Mahindra Alturas G4 is developed on the same platform as used in developing Ssang Yong Rexton G4 and claimed to upgraded version of the SUV from Korean car maker.